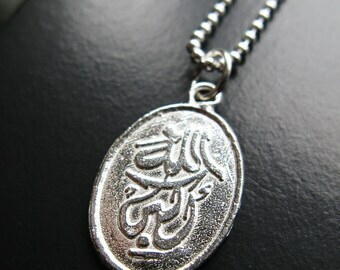 Bismilla means, In the name of Allah(God) This reminder pendant is so unique & simply gorgeous. 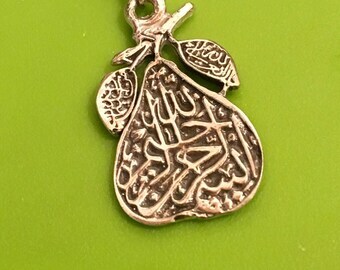 Just over 1" long, 24K Gold vermeil pear pendant with Bismilla written over again in Arabic calligraphy. 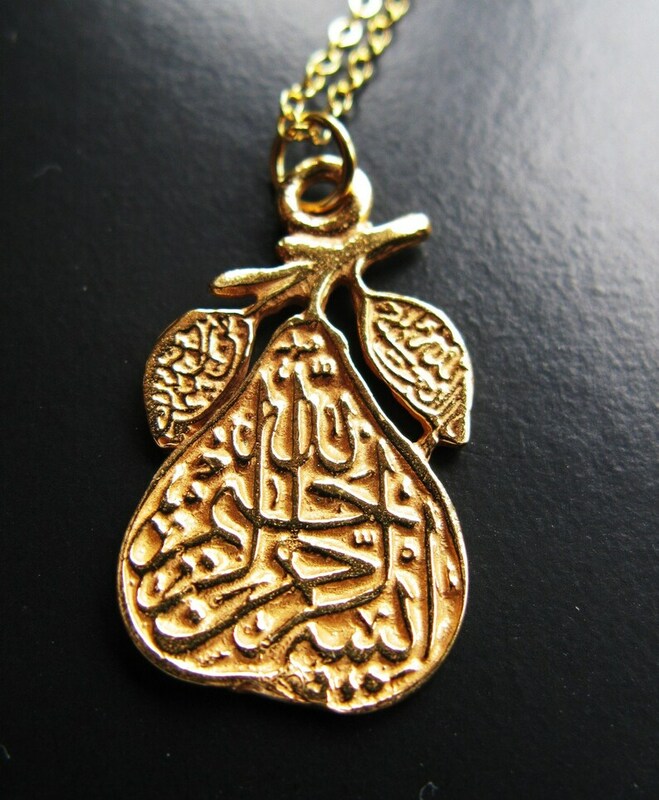 Suspended from 14K Gold filled chain with a round clasp, this is perfect to wear, or hang up in a prayer room or in the car. 16" long. I am happy to customize chain length if you need a different size.